Why Choose Fun Source Over The Competition? When choosing a rental company do you really want to put the kids at your event at risk for serious serious injury?? Fun Source Rentals puts safety as our #1 priority. Your event’s rental items will be setup correctly and secured in place properly. Fun Source is a member of the “Safe Inflatable Operators Organization” and takes safety seriously. All our staff has been extensively trained on proper set-up of our equipment, and Fun Source has a no tolerance policy for improper set-up. We have routine inspections of rental sites and our employees know that improper set-up of our equipment is grounds for immediate termination. WE TAKE SAFETY SERIOUSLY AND SO DO OUR EMPLOYEES!!!! Because our trucks are all equipped with the latest in GPS systems, Fun Source has a 99% on time delivery rate. As long as we have a valid address, we will be there in advance of your party or event every time. Our party rental computerized booking system ensures that your equipment will be available for you on the day of your event. No double booking!!! As long as you get your deposit in to our office in a timely manner your worries about your equipment are over. What does this mean to you the customer?? When our representative takes your order over the phone, she also receives your email address which immediately delivers a pending invoice and instructions to your computer for your review. This insures that the order and pricing we have on file are correct. You can discuss this information with the Fun Source representative immediately; going over the listed items together before you even get off of the phone. Fun Source has a service truck constantly on standby should any problems arise. Even on our busiest rental days, there is always a service truck and personnel ready and waiting to assist you. 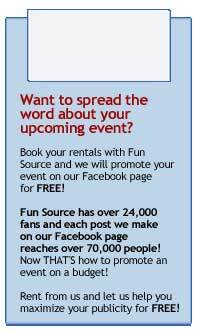 Each year Fun Source Rentals, Inc. adds thousands of dollars of new cutting edge equipment into our inventory while eliminating any equipment that appears old or worn. 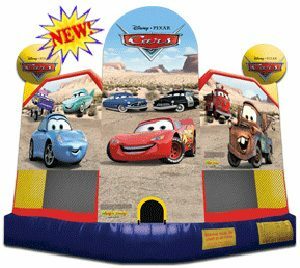 We have added over $40,000 in new water slides, Sports Inflatables, Carnival games, Wedding Equipment, tents, tables, chairs and interactive inflatables. 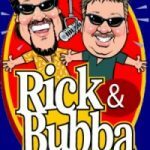 Fun Source’s large in the state of Alabama, and our $500,000 tent inventory is second to none. Accidents unfortunately do happen in this world. Sure there are companies out there who rent their equipment cheaper, but do they have insurance should an unfortunate event occur? Many local companies work out of their basement and fail to issue proper training to their staff concerning the set-up of their rental items. If a child is injured… is that the time you want to find out the company you rented your equipment from has no insurance??? Fun Source insurance policy available upon request. This lets you our customer know… We are professional and stand behind all our work!!! Fun Source delivery drivers undergo one month of on the job training regarding safety in set-up and operation of our equipment prior to their first delivery. Your child’s safety comes first at Fun Source. If we have a piece of equipment that cannot be operated safely, it is removed from our inventory. When you rent a piece of equipment from Fun Source, you will be given operating instructions prior to the equipments use. This ensures us that you are fully informed regarding the correct operation of the equipment rented. Fun Source is dedicated to our customers. We will do everything in our power to make your event a complete success. Give us an opportunity to make you one of our satisfied customers.